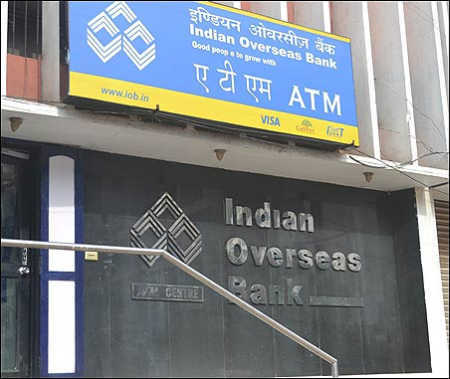 The Reserve Bank of India has initiated corrective action at Indian Overseas Bank on the grounds that its management is unable to revive it. IOB has reported low return on assets for four consecutive quarters from July 2014. The bank’s branch expansion and recruitment have been curtailed but no lending curbs have been imposed. In a note to the Chennai-based bank, also marked to the government, RBI said its management was not proactive in arresting the decline in performance. IOB posted a loss of Rs 245 crore for June-September 2014 and a loss of Rs 516 crore in October-December 2014. RBI is monitoring the bank every month. The government appointed R Koteeswaran as chief executive and managing director of IOB on December 31, 2014. The post was vacant for almost six months before that and in the two months prior to Koteeswaran’s appointment, the bank had only one executive director, Atul Agarwal. IOB is eligible for two executive directors; and the second Pawan Bajaj, was appointed in March 2015. After coming to power in May 2014, the National Democratic Alliance government had cancelled all appointments to state-owned banks cleared by the United Progressive Alliance regime. IOB’s new management, however, failed to raise its return on assets to the threshold of 0.25 per cent that triggers corrective action by the central bank. RBI summoned the IOB brass in the last week of August to emphasise the need for greater coordination. “RBI has been telling banks to become more proactive in order to avoid further slippages,” a source said. Corrective action is initiated if a bank’s capital adequacy ratio falls below nine per cent or its net non-performing assets rise above 10 per cent or its return on assets falls below 0.25 per cent. IOB’s capital adequacy ratio and net NPAs are within acceptable limits. Shares of the bank fell nearly three per cent following RBI announcing restrictions. The stock fell 2.27 per cent to Rs 36.50 on BSE. At NSE, its shares declined 2.93 per cent to Rs 36.35. Standard & Poor’s on Tuesday said the bank’s rating could face downward pressure if the corrective action taken by RBI results in weakening of the bank’s credit profile. “We could also lower the rating on IOB if the bank’s risk-adjusted capital ratio declines to less than five per cent,” S&P said. Should you buy PSU bank stocks?